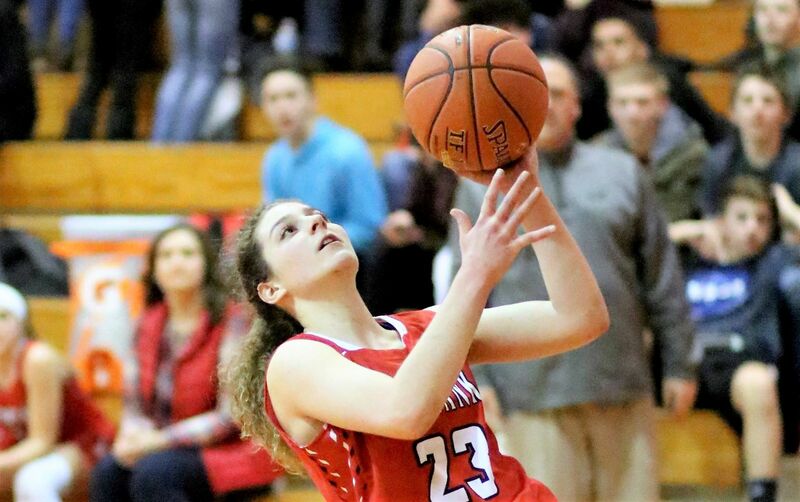 NEW BETHLEHEM, Pa. (D9Sports) – Tara Hinderliter, a sophomore on the Redbank Valley High School’s varsity girls’ basketball team, has been hiding in her sister’s shadow for quite some time now. 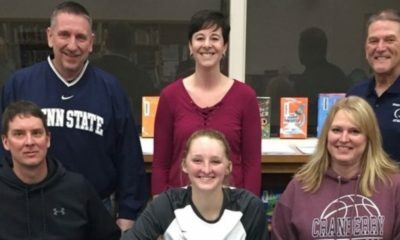 Her sister, Brooke Hinderliter, has been outstanding on the court at both Redbank Valley High School and now at Slippery Rock University as a member of the women’s basketball team. Brooke recently scored her 1,000th point for the college team after scoring over 1,000 points for the Lady Bulldogs. But Tara has been fighting for her own shot to dominate on the girls´ basketball court at Redbank, and once Lexi Holt graduated last year, Hinderliter achieved just that. 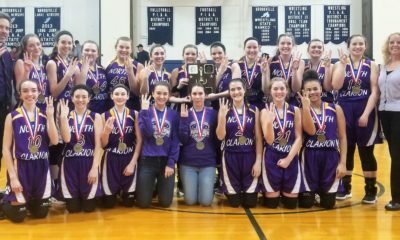 She was able to put up 31 points on January 9, 2019, contributing to the team’s win against Clarion-Limestone. Her previous career-high scoring game was just the night before when she put up 26 points in a win over Karns City. And she finished the 2018-19 season as the fifth-leading scorer in District 9 averaging 18.0 points per game. What has lead to Hinderliter´s success? 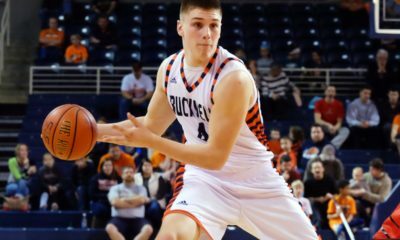 “During the off-season, I play with an AAU (Amature Athletic Union) team, and I also go to all the open gyms and summer leagues I am able to make it to,” Hinderliter said. While fans may assume that Hinderliter experiences pressure from her sister´s athletic accolades, she actually stated that Brooke is her biggest influence. “She is the one who made me fall in love with the game, and she always pushed me to play harder,” Hinderliter said. Even though Hinderliter has been putting up strong individual points, she is actually a great team player. “My number one goal is to get my team to the playoffs and hopefully make a run,¨ Hinderliter explained. She likes to make basketball competitive and fun. Her competitiveness also helped the RVHS varsity volleyball team win the D9 championship this year. While pre-game warm-ups may be nerve-wracking for some people, Hinderliter has no trouble. 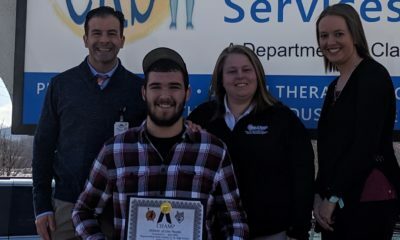 “I just listen to music and try and get myself ready,” Hinderliter said. She also tries to strategize a plan on whom the team needs to play heavily. According to Hinderliter, she has favorite and least favorite parts of basketball. Hinderliter also said camaraderie as a team is important.